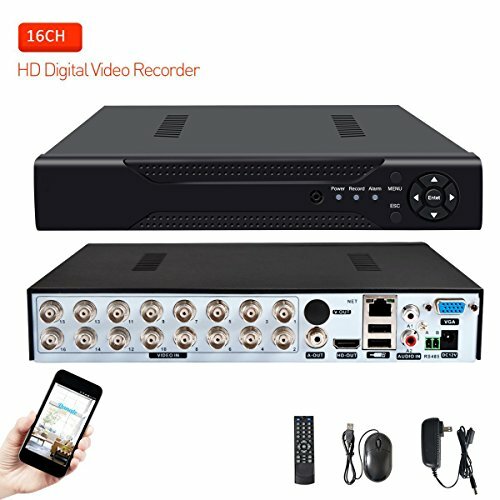 This ABOWONE 16 CH DVR has default 16 CH AHD 1080N resolution video-in,completely reach to AHD & CVI & TVI.No matter your cameras are AHD,analog,or IP cameras,you can make it work with this dvr,because it support all analog cameras & most of AHD cameras & onvif IP cameras & TVI cameras & CVI cameras. E-mail noticification with alarm and APP message will be wonderful for security.This updated dvr can completely support cloud storage if you don't want to purchase hard drive,and if you add the this device,other people will not be able to add it,and you can share this device to other people following your preferences,Convenience and Secure. Easy to set up to remote monitor on your phone app & PC client. From travel worry from now. If you have any questions about this product by Abowone, contact us by completing and submitting the form below. If you are looking for a specif part number, please include it with your message.